My name is Anatoly Yunitskiy. I am an engineer, the author and General designer of fundamentally new kind of transport systems called Unitsky String Transport (UST). Currently UST is being introduced to the market under the brand name SkyWay. Here, on my personal site, I will tell you about the essence of my inventions and the way they can help humanity in solving global problems. SkyWay string transport is an energy and transportation communicator of elevated overpass type. It uses electric vehicles on steel wheels riding on specific string rails. The main design differences of this system from other types of railroads of trestle design are pre-stressed tension of the structure, the absence of a continuous solid roadbed, low materials intensity in construction and visual simplicity. The main advantages are economic efficiency, environmental friendliness, durability, reliability, safety and, consequently, high market competitiveness. 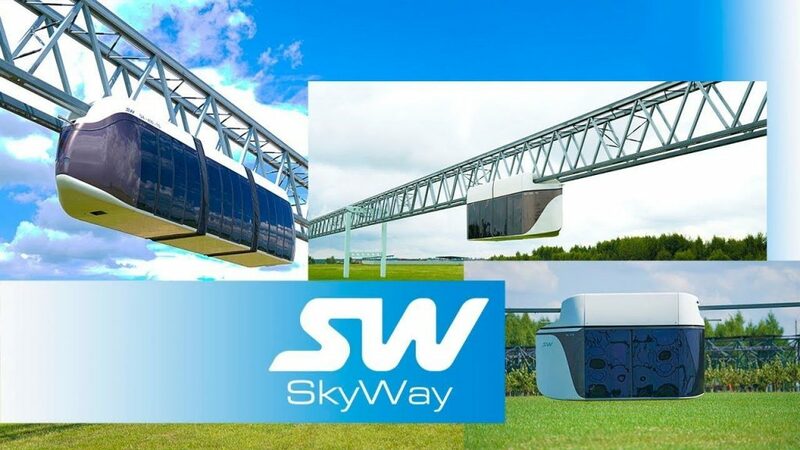 SkyWay transport is developing in three main areas: high-speed intercity type (up to 500 km/h, and in future, up to 1250 km/h with the transition to a pre-vacuum tube) urban passenger type (up to 150 km/h) and freight type. It has no analogues in its field with the ability to meet the entire range of transportation needs. In future it can be integrated into a unified global energy, information and transportation network, which will allow our civilization to move over to a qualitatively new stage of development. Currently the team of technical experts led by me is successfully developing a demonstration and certification center of SkyWay transport — EcoTechnoPark on the territory of Belarus. 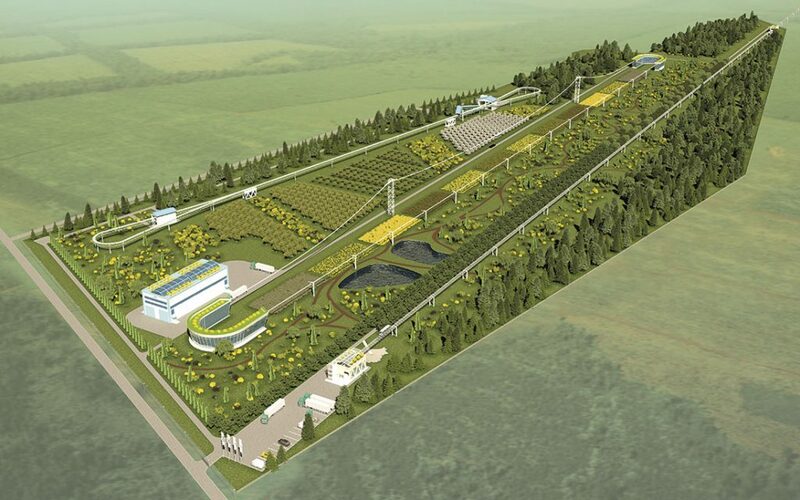 The land plot of 36 hectares in the town of Maryina Gorka, Minsk region has samples of tracks and infrastructure facilities offering anyone the opportunity to see what SkyWay String Transport looks like and how it works. The things we demonstrated today have already aroused considerable interest among customers and actually proved the relevance and demand of the solutions that we offer. One of the first who got interested in our technologies were representatives of Australia, which is experiencing serious transportation problems. In 2016 we gained support from the companies Rоd Hook and Associates, MbM and Aurecon. Together with them we started to work on preparing the legal basis for the construction of SkyWay routes in this country. The procedure of certifying SkyWay systems goes on with the support of representatives from the National Rail Safety Agency and the promotion of an influential lobbyist from Ministerial structures of the country Nick Bolkus. After the demonstration of industrial designs of SkyWay rolling stock at the international transport exhibition InnoTrans 2016 in Berlin in September 2016, the willingness to cooperate with us was expressed by representatives of India, Turkey, the Philippines and other countries. We have started negotiations that brought their results in a short time. In early 2017 we signed the first agreement on cooperation with business representatives and the authorities of the State of Jharkhand, one of the most industrialized and richest in India. The joint project consists of three parts: an urban test section, a transport system for the capital of the State and a connection of two cities with a high-speed transport line. The comprehensive solution to complicated transport problems in the State is estimated at USD 926 million creating more than 1,000 jobs. 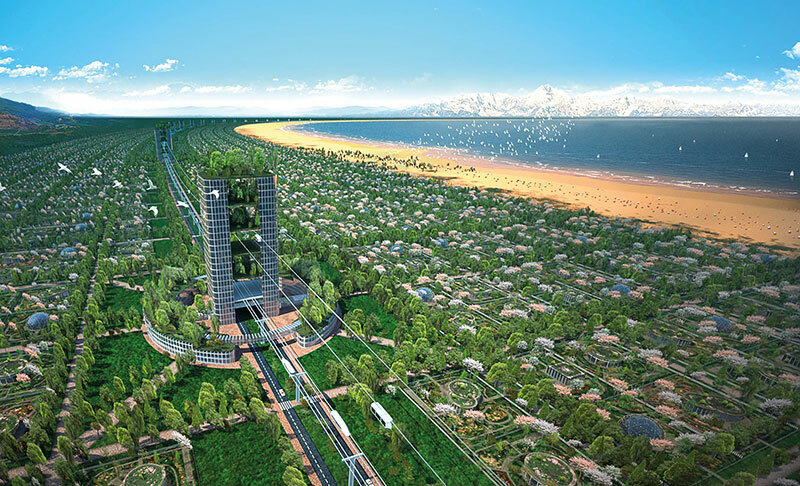 EcoTechnoPark construction and the complex of works on the introduction of SkyWay transport to the market is funded with a modern model of crowdinvesting — crowdfunding. While the project is at the startup stage, anyone can become its investor. Investment amounts start from as low as 50 USD, however, due to the large number of project participants, this scheme allows to obtain a sufficient capital for the company’s development at the initial stage. 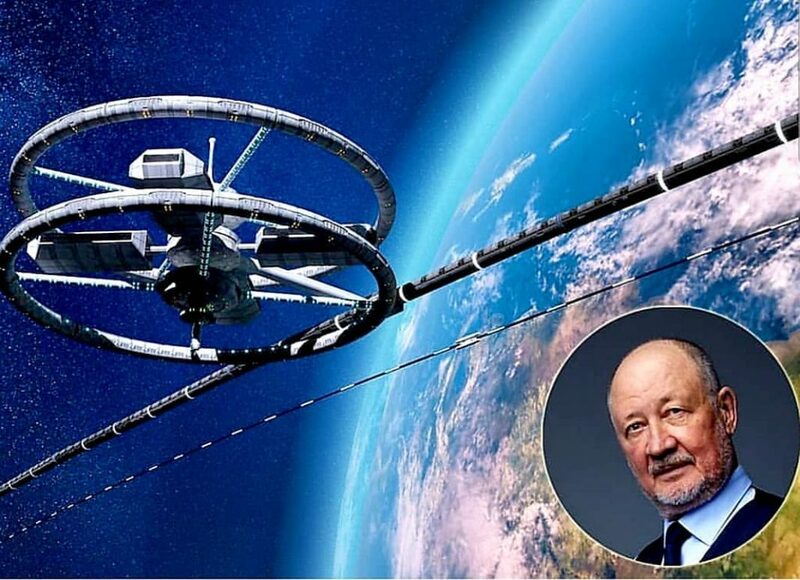 All the investors are co-owners of the underlying SkyWay transport technology and in the future — shareholders of the Company that, according to expert estimates, is able to win up to 50% of the world market of transport services in the foreseeable future. The use of the crowdinvesting scheme makes the project unique. For the first time in history, financing of work on the development of a sector-forming technology is done by ordinary people — the people for whom, in fact, the SkyWay transport is created and to whom it is supposed to serve. The ranks of the project participants amount to about one million people from 190 countries, of which more than 100 thousand have already become investors — the geography covering almost the entire inhabited part of the planet. This number is growing every day. It imposes a huge responsibility on me and on the staff led by me, but at the same time, it is a great honor to know that you create something really needed by people, serving to their interests but not to the interests of officials and commodity monopolists. Crowdfunding has become a powerful impetus to changes, which SkyWay transport brings about and which the people in power cannot ignore. Previously, they were not interested in changes that can disrupt the established balance of power. I know it from my personal experience having spent decades to convince them. However, 40 years of struggle have perfected my arguments, allowed to work out all the components of the technology in detail leaving behind three generations of SkyWay transport and laying the foundation for the fourth generation. With the support of the “army” of investors we have made the first crucial step — the creation of a full-scale functioning examples of SkyWay transport systems. Now, when everyone can see the effectiveness of the traffic solutions proposed by me, countries and business communities are forced to accept these changes as a fact and to strive to be among the first who will promote them. Few people want changes, but when changes come, it affects everyone and each person will have to make a simple choice: to change or to die. 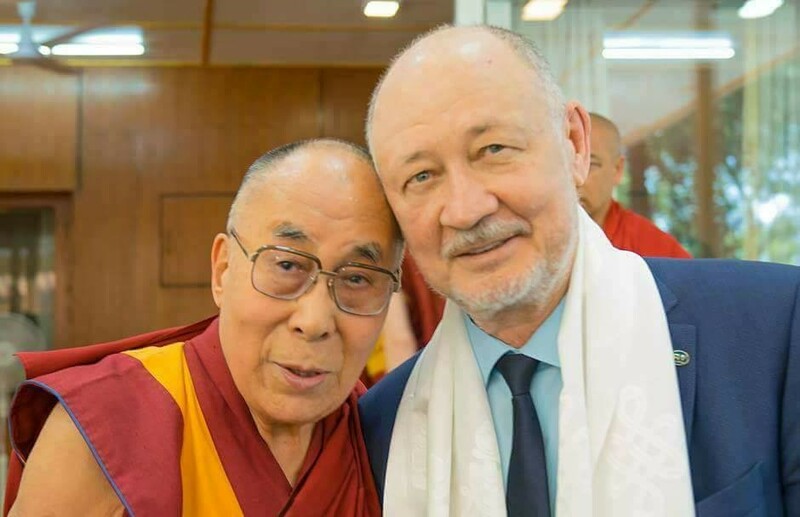 I am convinced that we have reached the stage, at which it is impossible to stop the development and expansion of Skyway transport in the market. The road to this moment was hard and the path that the idea of SkyWay transport is destined to pass is still far from its completion. Its horizon is not 50% of the transport services market, but the transformation of the transport system in the planetary scale, industrial space exploration and, ultimately, the salvation of our civilization from destruction. Primitive people, who were the first to burn up fires in their caves, poisoned themselves with carbon monoxide and carcinogens and died of lung cancer at the age of 20 years. However, they figured out to remove fires, roasting of meat on charcoal and leather processing outside of their homes — the caves. Thus, they were able to survive. So, we are in the same situation now — to survive tomorrow, we must remove the deadly industrial technosphere outside of the natural living sphere already today. Otherwise, our common home — the biosphere of the planet — will be inevitably and inexorably destroyed by the industry that is located in the same niche. Our rapidly growing technocratic civilization entirely facilitates it. When a schoolboy, living in Jezkazgan near Baikonur Cosmodrome, I was fond of rocket modeling and studied the works of the founder of modern cosmonautics Konstantin Tsiolkovsky. My successes in this area were noted at a high level. The more I focused on the problem, the better I began to understand the shortcomings in the modern strategy of space exploration. However, I clearly understood that humanity has no other way of development except for the transfer of environmentally hazardous parts of the Earth’s industry outside of the biosphere, into the near space. My solution of the main problem for the near space exploitation has become the program of its non-rocket industrialization in the interests of the Earth’s civilization. This technical proposal was first presented to millions of readers in 1982. My initiative was perceived enthusiastically by the international scientific community, prominent members of which were participants of the First International conference on non-rocket space exploration. It was held in Gomel in 1988. Following the proposed program the USSR State Cinema Committee produced a popular-science film “To the Sky by Wheel”. It was shown in cinemas in the Soviet Union and abroad. In parallel with the problem of space exploration, I was seriously engaged in the analysis of ground-based infrastructure setting myself the task to design an optimal mode of transport. The transport that will harmoniously fit into the actual conditions of the physical world. The transport that will allow to travel as fast as possible and with a minimal harm to the environment. The most important and significant science in creating a high-speed transport was aerodynamics. More than 90% of drive power of a vehicle moving in air at speeds above 350 km/h is spent on overcoming the aerodynamic drag. The main problem faced by all types of surface high-speed transport is the airfoil effect. It is a sharp increase in aerodynamic drag near the screening surface (land, water or roadbed) due to the dynamic forcing of air under the bottom side of a vehicle. The airfoil effect degrades aerodynamic performance at least twice. Therefore, in order to improve the aerodynamics of a high-speed transport twice, it is sufficient to eliminate the airfoil effect. This is achieved by elevating the vehicle above the ground. Of all the known variants in the construction of roads over the land, only overpasses are elevated. However, apart from the fact that a conventional flyover is expensive and requires a large amount of materials, it has a solid roadbed. The airfoil effect is not eliminated even in it. To obtain the optimal conditions for the motion of a high-speed rolling stock, it is necessary to remove the continuous roadbed and leave only narrow strips for the wheels — rails. In addition, if we make a track structure along the length of the beam continuous, without expansion joints, it is possible to increase the carrying capacity of the overpass twice. And so as to exclude compression and loss of stability, the load-bearing structure of the overpass must be stretched in the longitudinal direction, that is made pre-stressed. A string rail with a bunch of bearing reinforcement (strings) stretched in the longitudinal direction in its center, allows not only to eliminate the airfoil effect, but also to increase the carrying capacity of the supports, on which it is mounted, by 8 times. This means that supports can be dozens of times less costly as the weight load from a lightweight trestle will be much less than in traditional beam bridges. 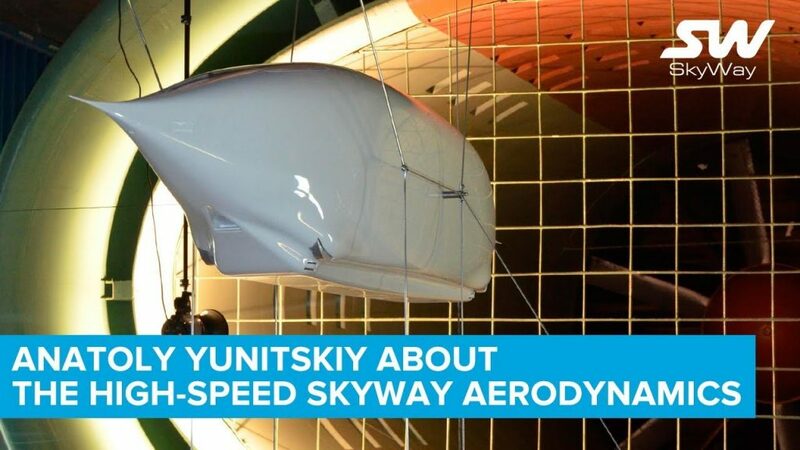 This solution proved to be optimal both from the point of view of minimizing aerodynamic drag, and from the point of view of reducing capital costs for the construction of the route. Comparison with all known alternatives — earthen embankment, tunnel and conventional beam flyover — is in our favor. Further studies allowed to improve the aerodynamics of the rail car, called a “Unibus” later. Its aerodynamic drag coefficient was reduced to 0.06 (for example, in the most expensive and speedy car — Bugatti — this ratio is 0.38), which is close to the theoretical limit of 0.04. These results were obtained experimentally through repeated blowdowns in a wind tunnel. All these solutions are patented. It only remained to solve the problem of overcoming the wheel rolling resistance, which takes up to 1/10 of the energy at high-speed motion (9/10 of energy is spent for aerodynamics). This solution was borrowed from the railway transport using the most effective system of support of the rolling stock on the track structure: “steel wheel — steel rail”. In such a system the efficiency factor is equal to 99.8%, as a force of two kilograms can move a vehicle weighing one ton along the horizontal rail track. At high speeds the loss here is two orders of magnitude less than in the system “pneumatic tyre — asphalt-concrete roadbed”. And it is several times less in comparison with other systems — air and magnetic cushion due to the presence of airfoil effect in them. Thus, the concept of optimal elevated transport system was created. It was called SkyWay later. The main elements of such a track are: 1) pre-stressed continuous rail-string overpass; 2) rail electric pods on steel wheels — with high aerodynamics, equipped with an anti-derailment system and an intelligent system of safety, control, energy supply and communication. Each term in the UST definition is its hallmark and has a profound physical and technological meaning: (1) overpass, (2) continuous, (3) preliminary, (4) stressed, (5) rail, (6) string, (7) vehicle, (8) rail-shaped, (9) wheel, (10) steel, (11) high aerodynamic features, (12) anti-derailment system, (13) intelligent systems of — (14) safety, (15) control, (16) energy supply, (17) communications. These 17 distinctions make the SkyWay transport system optimal and no other surface transportation system can be more efficient if we assume that the laws of physics will remain the laws of physics in the future. Then I realized that this engineering optimization has allowed to create not only the most efficient mode of transport, but also the safest and most environmentally friendly one. This becomes especially obvious if we use the scale factor. 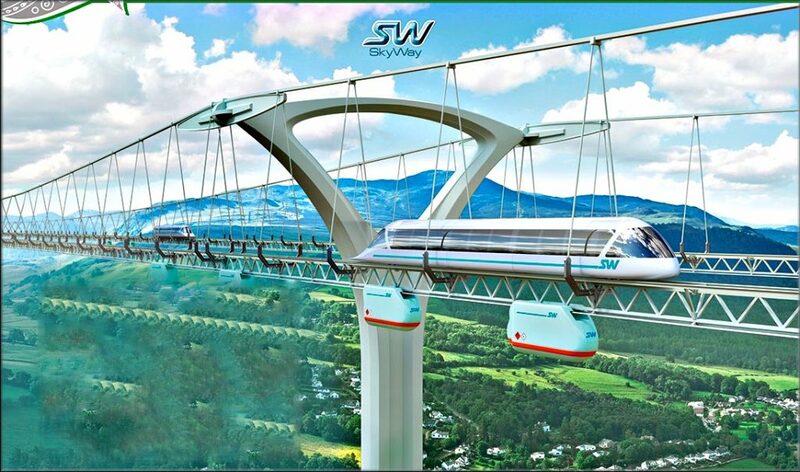 In particular, if an alternative world transport-infrastructure network Transnet is built by the SkyWay technologies in the coming decades, it will save till the end of the century about 100 million human lives, which, otherwise, will die in traffic accidents. And nearly 1 billion people will not become disabled and crippled. The land users will get back more than five territories of Great Britain — that is how much area of soil is “rolled down” today into asphalt and “buried” under sleepers. “Fifty more Great Britain territories” will be saved from environmental degradation. Hundreds of billions of tons of fuel worth of hundreds of trillions of dollars will be saved and the engines of cars, locomotives and aircraft will not burn trillions of tons of atmospheric oxygen, necessary for all of us to breathe. A large-scale capitalization of SkyWay transport using crowd investing (crowdfunding) was launched in 2014 for the first time. For this purpose the intellectual property and know-how developed over the previous 38 years, were “packaged” properly and delivered into the British jurisdiction. They are evaluated as a property by independent appraisers, having international licenses, and contributed to the authorized capital of a Сompany. The owner of these hundreds of know-how and exclusive rights on them is now this Company. 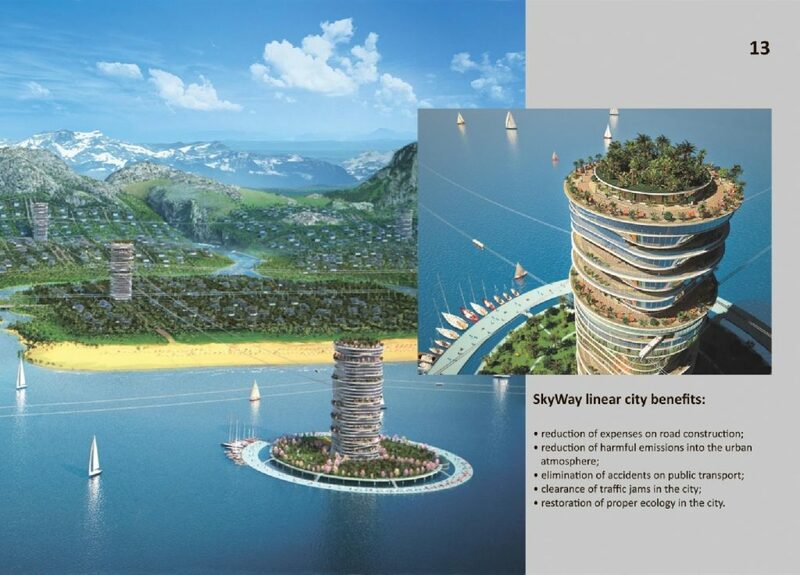 The author of SkyWay technologies is naturally one of the co-founders of that Company. Anyone who invests in the technology development becomes a co-owner of the Company and its intellectual property. 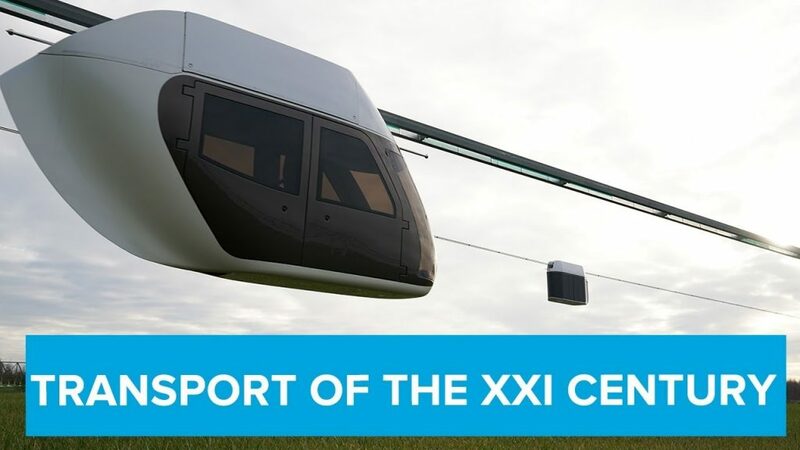 A priority for all of us is the completion of the demonstration and test complex of the SkyWay technology — EcoTechnoPark, demonstration of all trends and possibilities of SkyWay transport and its certification. Work in all these directions goes on at a good pace, the defined tasks are close to their solution. Based on what has already been done, we look at the future with great optimism and confidence that we will only grow. We already have the first contracts for the construction of transport infrastructure systems — freight, urban, intercity high-speed ones. We are successfully negotiating dozens of other projects. Very soon we will get the first profit, which will be a deserved reward for the efforts of those who worked to create the technology and the belief in the project of those who became its investors. On getting a profit, we will enter the stock exchange and thousands of shareholders of the Company — creator of SkyWay transport will become dollar millionaires and more than a dozen — billionaires. I will also be among them. Then I want to invest all of my personally earned money in the development of the space program SpaceWay. Nobody is ready to finance this program today — neither Russia with its Roscosmos, nor the United States of America with their NASA, nor the United Nations. However, only research and development work under this program will require about USD 100 billion of investments. The implementation of the SpaceWay program will ensure the transition of the Earth’s civilization to a new stage of development. We will become a space civilization with its industries taken up outside of its home — the biosphere of the planet Earth. We, and consequently our grandchildren and great-grandchildren, will obtain unlimited possibilities for further technological development without conflicts between the Earth’s Biosphere, created by God, and the Industrial Technosphere, created by Homo Sapiens. Reduction of the cost of geospace traffic by four orders of magnitude — from dozens of millions of dollars to several thousand dollars per ton of cargo. However, the mankind lacks the main thing now — understanding that there is no other way. To understand this, we do not have much time — not more than 2—3 generations. If we do not understand, the point of no return will come — our Earth’s technocratic civilization will be inevitably and inexorably killed by its own child — the industrial technosphere that has occupied the same niche on the planet as the biosphere.